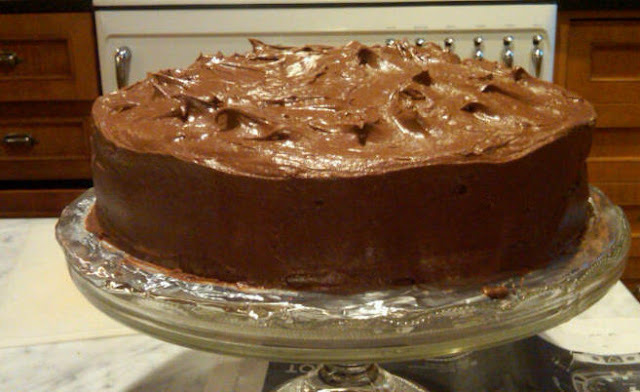 I know you're all stuffed with Christmas goose and Hanukkah latkas, but you will eat again and when you do, please try Aunt Jenny's Favorite Cake. It's a winner and I am thankful for the niece or nephew who jotted down the recipe sometime in the last century. This cake was a "recovery" cake, as in I was making My Best Gingerbread when I realized I'd added double the sugar called for in that recipe. 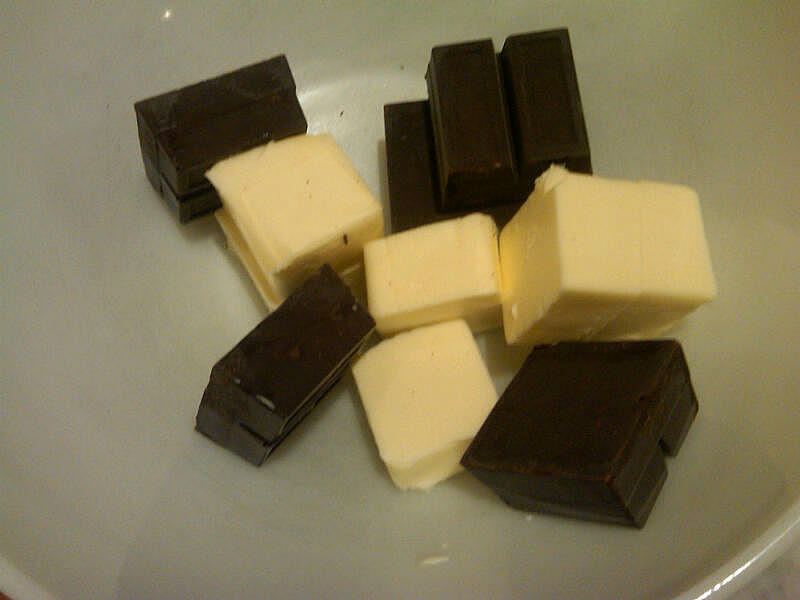 Just as I was about to toss the butter and too-much-sugar mixture in the trash, I remembered this cake and, sure enough, it started with exactly one stick of butter and one cup of sugar. So I quickly switched gears, and I'm glad I did. This is a delicious, old-fashioned cake, perfect for a birthday party. It has a delicate crumb, but can easily support the chocolate frosting I chose from the same recipe box. 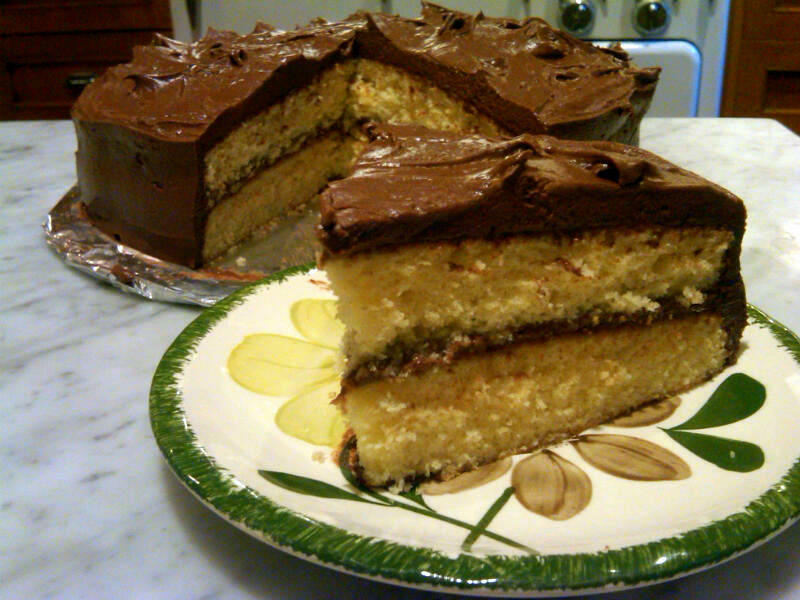 Once upon a time, yellow layer cakes with chocolate frosting were called chocolate layer cakes. 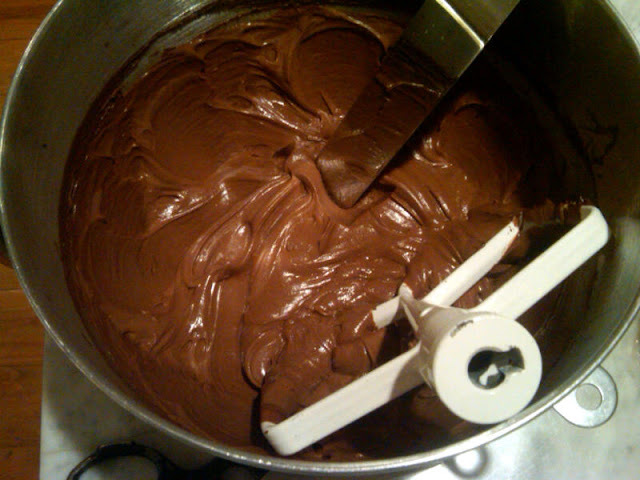 The frosting is delicious, but unless you work out in the gym all the time and have amazing arm strength, you'll definitely need an electric mixture to whip it to the right texture. 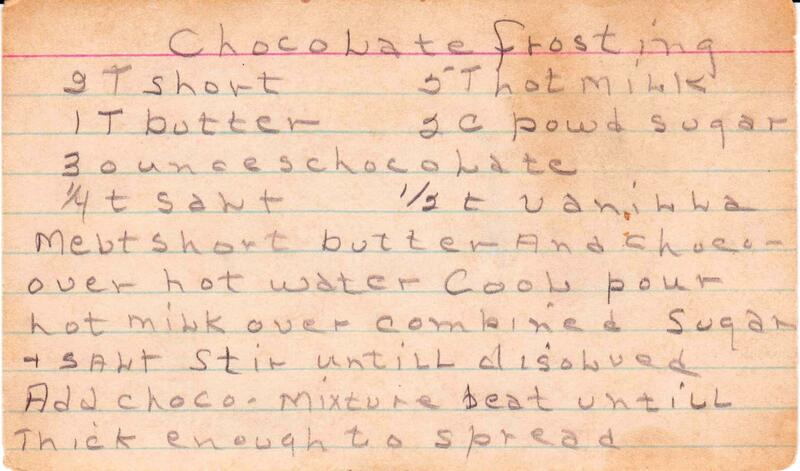 Making recipes like this reminded me of my grandmother's recipes that she just passed down to me (she's 91). She wanted me to copy some of them for some friends and suggested I type them up so their easier to read. I hated to do this as I felt the character and her essence was being lost in translation. 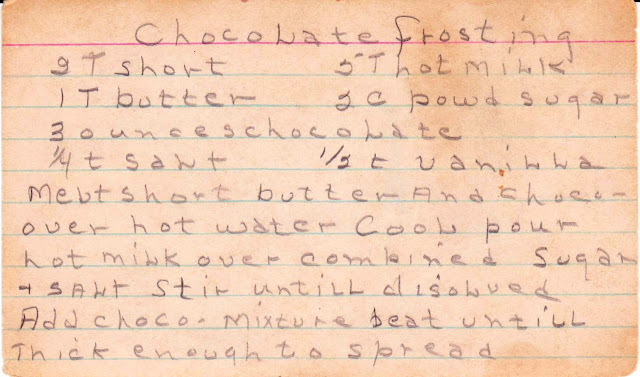 I love reading her handwriting while baking one of her recipes, knowing my grandmother did the same thing in her younger days. It's a treasure I will always cherish! Kat: You're lucky to get your grandmother's recipes! And she's lucky to have granddaughter that will cherish this treasure. I do love the handwritten cards, but I understand her impulse asking you to type them. You could do both -- scan her originals and type them for clarity. I came across this EXACT recipe in grandmother's recipe book. 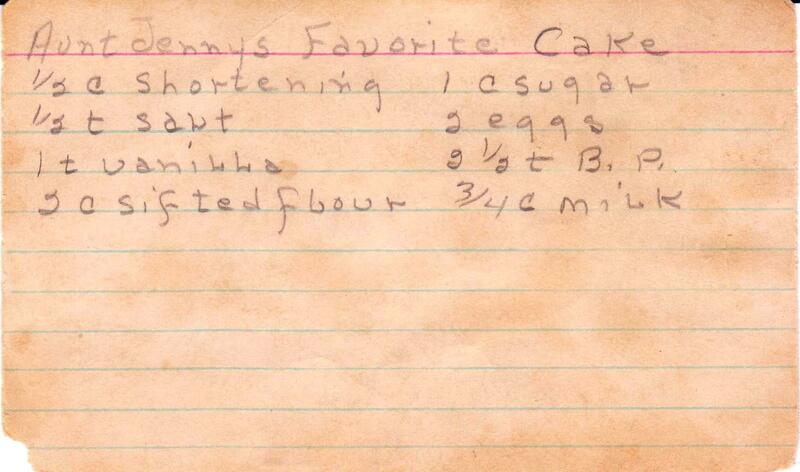 Of course, being an "Aunt Jenny" recipe, she had the shortening written as 1/2 cup "Spry" :) I'm actually working my way through all of her old recipes so I'll have pictures to put in a cookbook that will be a gift for my mother (her daughter). I, too, felt like something was lost when I typed them up, so I'm including pictures of the old written recipe throughout the book. Lori: Too funny! But it is a great recipe. And I see Spry in a lot of old recipes. I still use butter, but it does help me date them. What a lovely gift for your mother. Good luck on your project! My mother had the Mystery Chef cookbook and I started baking with her, making his Master Butter Cake and Fudge Frosting (a real cooked frosting). I still make it to this day and people love it. Around here you have to spend $40 at a bakery to get a cake that's good. And forget about commercial supermarket cakes ... all you taste is sugar. 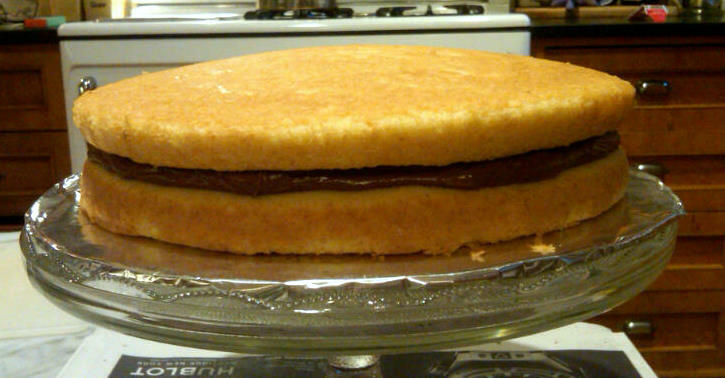 And I don't think, in most cases, that bakery cakes can even compare to homemade!